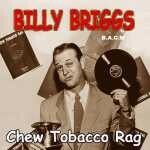 A unique once-off, quirky vocalist/songwriter/distinctive steel guitarist, Briggs is nowadays best remembered for his early ‘50s hit Chew Tobacco Rag, but his recording career goes back to the 1930s including playing steel with the legendary Hi-Flyers (eg: on BACM 406), early exponents of Western Swing. This CD features his recordings with the Imperial label between 1949 and 1953 – mainly up-tempo novelties, many jazz-tinged, just guitar, steel and bass but producing a solid, driving sound. 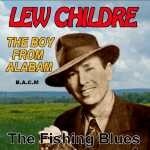 24 songs from the 1920s and 30s from this prolific songwriter/singer and political commentator. Wide variety of styles and genres - from comedy to topical story songs. 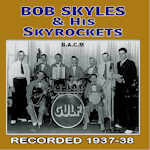 For fans of Western Swing, a selection of early (1937-38) recordings from the Bob Skyles Skyrockets band, nice mix of jazzy, novelty and country-tinged tunes. Often hilarious 'Backwoods' band very much in the style of Spike Jones & His City Slickers; 25 songs of 1940s country humour. 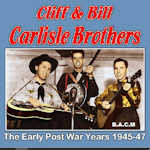 Our 600th release features the legendary CARLISLE BROTHERS, Bill (guitar and vocals) and Cliff (steel and vocals), showcasing their best recordings from the 1946/7 period, including a couple of hilarious novelty tunes accompanied by Homer and Jethro. Hi-lights include two tracks accompanied by the superb Curly Fox on fiddle, Skip To My Lou and Old Joe Clark. 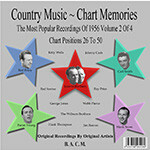 This collection Complements BACM's earlier releases, the solo pre-war recordings (CLIFF CARLISLE - Far Beyond The Starry Sky and BILL CARLISLE Duvall County Blues, early recordings 1933) – and a compilation of 1950s recordings which Bill cut with a different line up, as THE CARLISLES -Tennessee Memories. 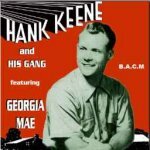 This selection of 25 1950s recordings are from a pivotal figure in the development of what became known as 'The Bakersfield Sound', influencing singers like Buck Owens, Wynn Stewart and Merle Haggard. 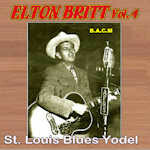 20s/30s popular country songs many of them classics of the 'outdoor vagabond' genre, sung in great style in his 'Hobo Jack' persona. 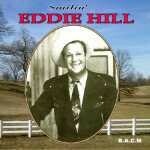 Some 1940s bluesy, comic-country here on these 25 recordings, sung with Holden's distinctive infectious raw delivery. Multi instrumentalist Keene along with his multi-talented group - which includes yodeler Georgia Mae - with a nice big assortment of songs - 43 in total, up-liftingly upbeat. Good diversity of backing styles make this a really great listen. This can be looked at as 'Country Music Archeology', digging up from the Archive vaults some historic very early (1916-23) recordings. Many of the songs and tunes have been assimilated into Country. Twenty tracks of jazz-tinged hillbilly from a group whose somewhat crazy humor undoubtedly influenced Spike Jones. Underlying the madcap, frantic humour was their skilled and versatile musicianship - every group member was a gifted multi instrumentalist. Long overdue, a collection to celebrate this legendary country entertainer – singer, reciter, buck dancer, comedian, storyteller whose career stretched from vaudeville and playing in jazz groups in the 1920s to becoming an Opry regular in the 40s and 50s . One of those happy-go-lucky, easy on the ear vocal styles. Our CD, mix of old timey and humorous, many featuring his distinctive steel guitar and fine dobro from the great Josh Graves. 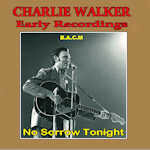 Five early recordings from the 1930s, 16 Starday LP cuts from the late 1950s plus a couple of radio broadcasts. 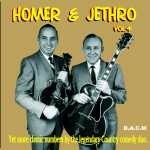 Renowned for their country comedy, these two performers were musicians of the highest order, as evidenced by some great riffs sprinkled through their recordings. This CD has 25 songs, a mix of Country and Country-humour, 1952/57, including their hilarious hit "I'm my own grandpa" which has been widely recorded including a recent version by Willie Nelson. A selection of 21 humorous songs and skits from various late '20s/early 30s performers - rare recordings from the vaults. 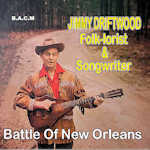 Texas born singer/songwriter who provided hits for Jim Reeves ("Mexican Joe") and Vernon Oxford ("Redneck") while his cleverly worded hit "Caribbean" was a huge hit for himself. This 1950s collection showcases his many styles. Gene Autry's movie sidekick, here with a mix of radio transcription and commercial recordings, mostly good fun and humor. These recordings were in fact by The Prairie Ramblers, recording incognito under the Sweet Violet Boys pseudonym, allowing them to stray into more risqué and jazzy territory (the wholesome Prairie Ramblers would not have got away with "Let's all get good and drunk" on their weekly National Barn Dance shows!). 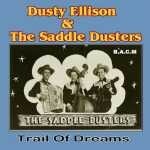 23 rare tracks from 1935/41, plenty of fun and humor - and fine musicianship! 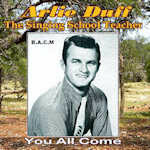 Children of all ages will enjoy these songs recorded in the 1950s and some featuring special sound effects. Ritter's rich baritone perfectly fits. 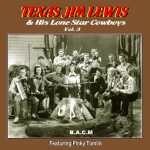 This third volume spans the 1940s, recordings for the Decca and Exclusive labels following Texas Jim's move from Texas to California. 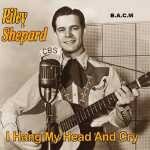 Collaborators on these recordings include a young Cindy Walker who went on to become a songwriter legend and Spade Cooley providing session fiddle prior to starting his own band in 1942. Nice mix of songs and styles including Western Swing and novelty tunes, the latter featuring Lewis playing the Hootinannie – a contraption that incorporated bells, percussion and horns! 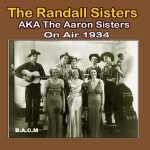 The Randall Sisters (The Aaron Sisters)-On Air 1934. BACM 552 Tight harmony nasal singing from the three Aaron sisters (a.k.a. The Randall Sisters), taken from their 1933-34 appearances on Wade Lane’s syndicated transcription series Pinto Pete & His Ranch Boys. Nice mix of hillbilly, novelty and sentimental tunes – all give the impression that singers and musicians alike are having fun.